I met him at Tropicana Field in St. Petersburg, Florida in 2015. He was working out there a week before pitchers and catchers were set to report for spring training. 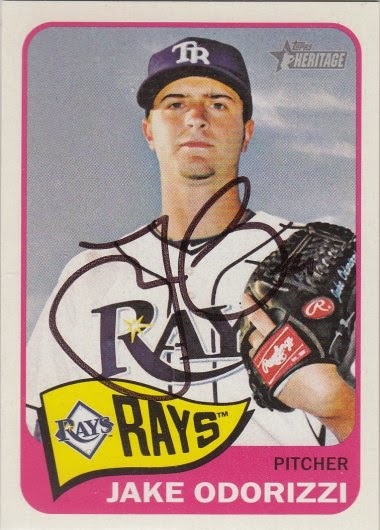 Jake signed a 2014 Topps Heritage card #68.